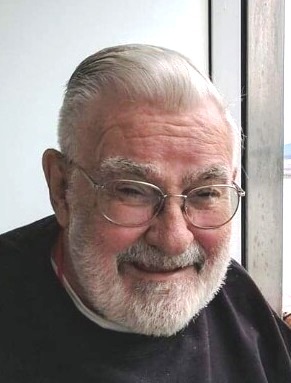 Richard R. Weilandt, age 82, of Winona, and a former long-time resident of Bellevue, NE, passed away on Monday, April 15, 2019, at his home. He was born on April 16, 1936, in Winona, to Roman and Violet (Haack) Weilandt. A graduate of Winona Senior High School, he went on to earn an Associates Degree in Business Administration. Richard honorably served his country with the United States Air Force for over 20 years, retiring with the rank of TSGT in 1975. He was an active member of the Winona VFW, a member of the Winona Athletic Club, and he will be remembered for his enjoyment of woodworking. He is survived by his children: Donna (Will) Dozier, San Antonio, TX; Richard Weilandt, II, Bellevue, NE; Paul (Marie) Weilandt, Bellevue, NE; and Renee (Jay) Lofland, Houston, TX; 11 grandchildren; as well as several great-grandchildren. He was preceded in death by his parents, and his wife, Shirley. A gathering to celebrate Richard’s life will be held from noon until 2 PM on Thursday, April 25, 2019, at the Winona VFW Club, 208 East 3rd St.
Online condolences or memories may be left for Richard’s family at www.watkowski-mulyck.com.